You know you have to study. There is an essay due tomorrow and a test on Friday. But when you sit down, your attention starts to . . . wander. You think about the test when working on the essay. And then you think about the essay while studying for the test. What’s happening on Instagram? Wait, what’s your work schedule this weekend? The scenario above probably sounds a bit familiar. You’ve finally gotten yourself ready to work only to discover that you’re not actually working. Ugh. That’s where the Pomodoro Technique can come in handy. It’s a time management method that helps you stay focused. That means you can actually complete what you need to accomplish! Just a note – this post contains affiliate links. If you click on the link and buy an item, I earn a small commission. Thanks for your support! Anyone who has tried a marathon study session knows that it never works out the way you hope it will. Why? Our brains just can’t focus for long periods of time. Our brains and bodies need regular breaks and movement. However, we can focus for about 30 minutes at a time. 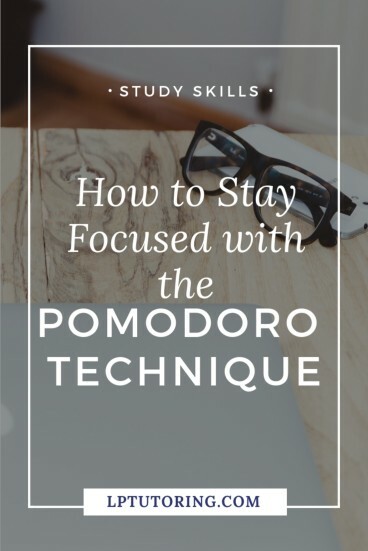 The Pomodoro Technique’s goal is to stay focused, really focused, on a single task for 25 minutes. It works for just about any type of task – studying, writing, even cleaning. By staying completely focused on a single task, you can get a lot accomplished. Keeping the time period short prevents you from burning out. As with all study methods or time management methods, it takes work to become proficient in using it. 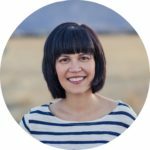 Don’t expect your first (or 2nd or 3rd) sessions to go perfectly. However, over time you will become better able to schedule tasks, stay focused, and complete that to-do list! Step 1: Pick a topic or topics to focus on that day. Write down the specific tasks that you need to complete. Examples – revise Spanish essay, read Chap. 1-4 in Catcher in the Rye, complete # 4-10 on p. 147 for Algebra. 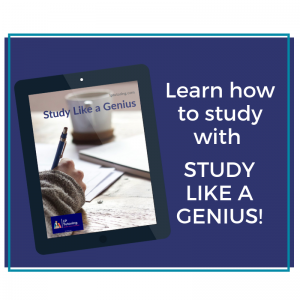 Break down your study time into 25-minute increments and decide what you need to accomplish in each session. You are going to work through this list as you study. If you haven’t already, download my Pomodoro Cheatsheet. There is a page in it to keep track of your to-do list! Step 2: Set a timer for 25 minutes. Use a timer you borrowed from the kitchen or buy one at the Dollar Store. There are also timers specifically made for Pomodoro users. You *can* use a timer on your phone, but it is better if your phone is nowhere near you. Honestly, leave your phone in another room. If you need it in the room, put it on airplane mode and place it on the other side of the room. Step 3: Work for 25 minutes. Complete the tasks that you wrote down for the 1st session. Before starting, be sure that you have all the necessary supplies – paper, books, calculator, etc. Make sure that there is nothing in your workspace that will distract you. Put away other books or notebooks. Turn off the TV or radio. (Seriously) And if you haven’t already, put your phone in airplane mode and put it far, far away from you. What’s my work schedule this week? Crap – I forgot to feed the cat! I need to ask mom to buy me more iced tea. Once you get those questions or thoughts out of your head, you should be able to concentrate better on your work. And don’t worry, you’ll come back to them later! When the timer beeps, mark off the assignments or tasks that you completed during the session. Then take a 5-minute break. Be sure to actually get up and move around – your body needs the movement! This would also be a good time to check your “parking lot” and take care of any of the issues on it. You *can* also check your phone, though I would stay away for longer. Step 5: Repeat Steps 2-4 up to 3 more times. After working for that amount of time, your brain and body need a longer break of about 25 minutes. Get up, leave the room, take a walk, chat with a friend (like actually talk, not just text), or get a snack. If you have the time, start the whole process all over again! 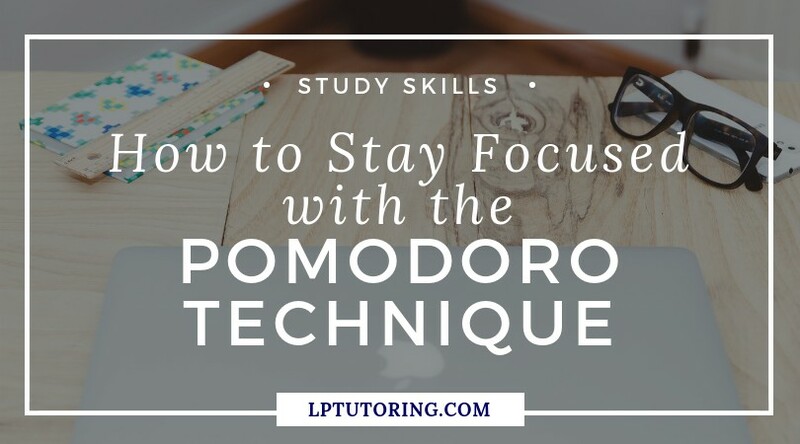 Download the Pomodoro Cheatsheet – it has a reference guide and worksheets so you can start your first Pomodoro session today!